Indulge in the most travel-worthy culinary experiences at these restaurants with Michelin stars throughout DC. For roving gastronomes and travelers who revel in experiences centered on food, it’s time to reserve a table in the nation’s capital. The 2019 Washington, DC Michelin Guide is available, and it’s brimming with Michelin-starred restaurants, affordable hot spots and essential eating insights covering more than 120 restaurants in and around the District. The Michelin selections are in, and DC’s dining scene is as hot as it’s ever been. So why all the buzz? The District is home to a distinct landscape of diverse cuisines and perfectly cooked dishes, all of which are waiting to be devoured. Don’t just take our word for it. Check out these Michelin Guide highlights and make sure to book your tables early. 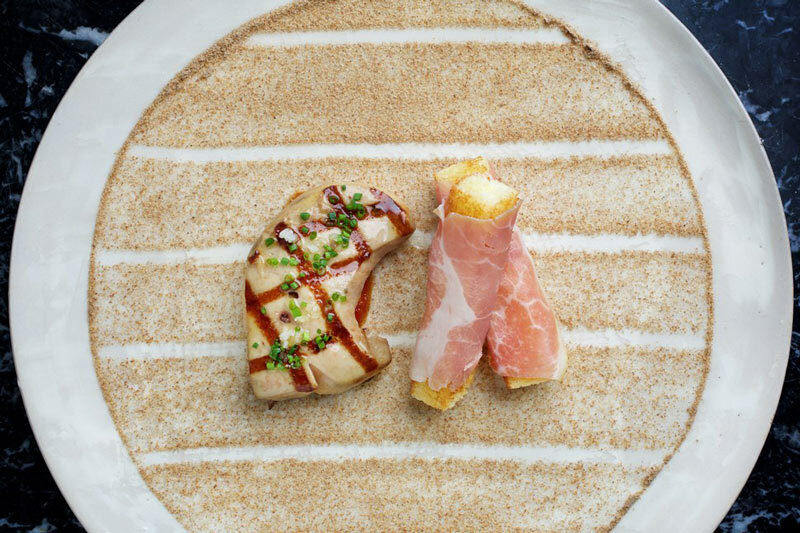 There are 16 restaurants in Washington, DC that have earned highly coveted Michelin stars. 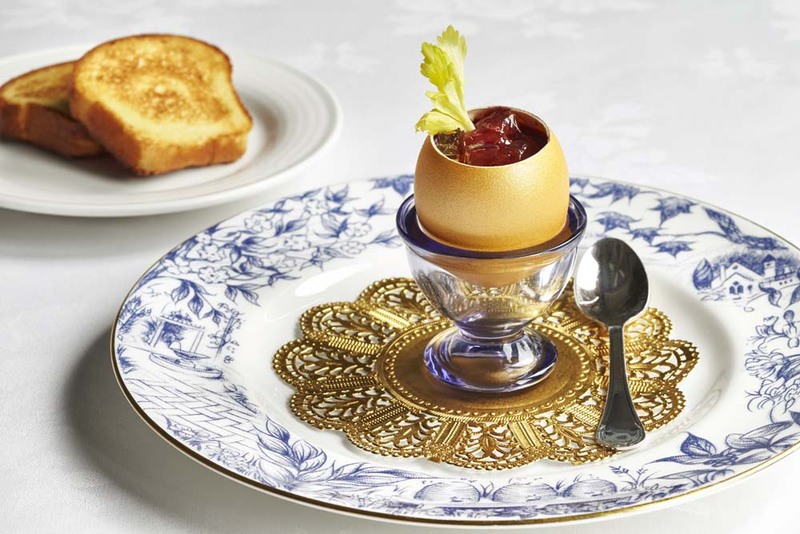 The three-star system is represented as follows: one star: “a very good restaurant in its category;” two stars: “excellent cuisine, worth a detour;” and three stars: “cooking worth a special journey.” This year, the region has received its first-ever three-star restaurant: The Inn at Little Washington in Virginia. Two newcomers received one Michelin star this year: chef Robert Wiedmaier’s Siren by RW and Ryan Ratino’s Bresca. In addition, two restaurants have maintained their two-star status: José Andrés’ minibar and Aaron Silverman’s Pineapple and Pearls. 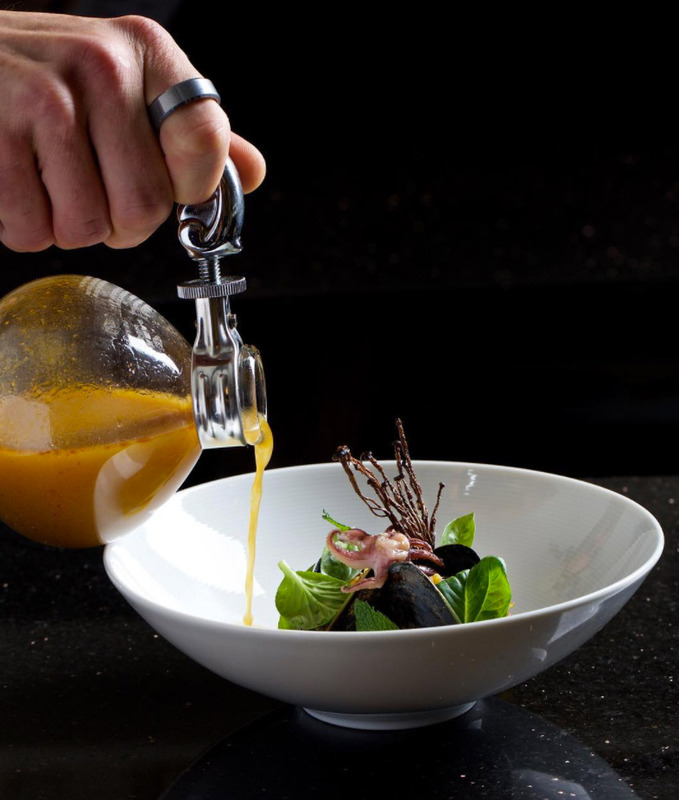 Other popular one-star restaurants include Kinship from chef Eric Ziebold, Blue Duck Tavern near Georgetown, Plume in downtown DC and Masseria by Nicholas Stefanelli in the NoMa neighborhood. 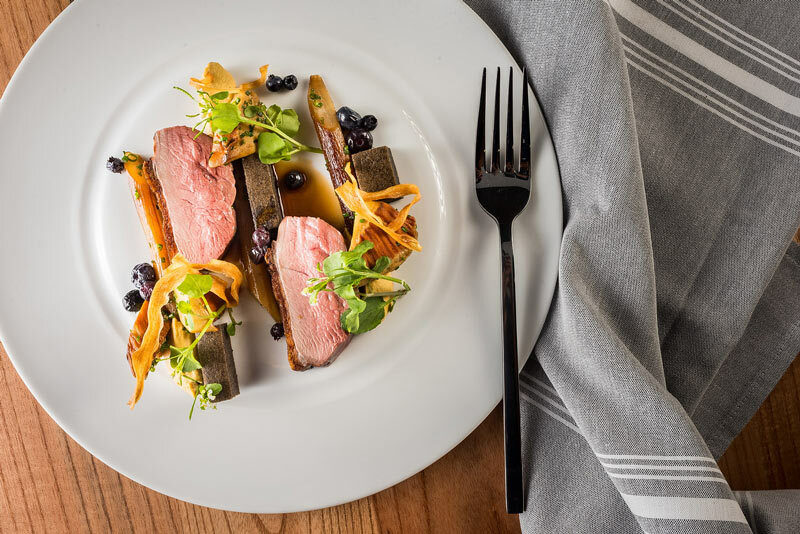 Locals in need of a lavish getaway reserve a room at the Inn at Little Washington in Virginia – if nothing but to relish one of the most elegant dining experiences in the area from chef Patrick O’Connell. The region’s first three-star restaurant is known for its diverse tasting menus featuring O’Connell’s mouthwatering culinary creations. Take a multi-course journey through the world of molecular gastronomy from renowned chef José Andrés. Located in Penn Quarter, this restaurant is regularly booked months in advance. Good to know: José’s four other area restaurants are all Bib Gourmand selections. Chef Aaron Silverman’s tasting menu is the stuff of perfection. Venture into Barracks Row on Capitol Hill for a night filled with meticulously crafted courses – each paired with a drink. Tip: You can belly up to the bar for the same tasting menu sans drinks and save $100. At chef Ryan Ratino’s Bresca, an inventive menu melds tantalizing flavors and the chef’s one-of-a-kind vision: pastrami beets are served with whipped feta and dill on rye, foie gras is made into a “PB&J” and sea urchin linguini with truffles and chili delivers a deliciously rich umami bomb. To top it off, many of the herbs and floral garnishes for dishes are grown on the restaurant’s rooftop garden. Situated in the Park Hyatt Washington, the Blue Duck Tavern is the only place in DC where you'll find a breakfast worthy of a Michelin star. The restaurant serves three meals a day and features exquisite seasonal fare cooked in an open kitchen that makes diners feel right at home. An ever-rotating seasonal menu focusing on farm-to-fork fare lets you know just how far that oven-roasted Cheshire pork chop has traveled to make it to your plate. After cutting his teeth at The French Laundry, a Michelin three-star restaurant, chef Eric Ziebold moved to DC and came into his own when he opened Kinship to rave reviews. The menu features dishes that focus on technique, history, ingredient or communal preparations. It’s a special place, and perfect for a celebratory meal. Located beneath Kinship, an even more indulgent experience awaits at Métier, chef Eric Ziebold's ambitious 36-seat restaurant with a $200 seven-course tasting menu. The French-themed restaurant is new to the 2018 guide, and diners take note: advanced reservations are recommended and jackets are required for gentlemen. Located near the foodie wonderland of Union Market, Nicholas Stefanelli’s restaurant harkens back to his rustic Italian roots. Savor coastal cuisine cooked to perfection, aided by a well-manicured wine list. Plume's German-born toque, Ralf Schlegel, isn't the first master chef in his family to earn a Michelin star, but he's the first to do so on American soil. The classically trained Schlegel executes his European-inspired dishes to perfection, something best experienced off the prix-fixe menu. The restaurant is located inside The Jefferson Hotel. Chef Johnny Monis' Greek-inflected Komi serves up a tasting menu highlighted by Mediterranean seafood inside intimate and simplistic environs. A visit to this Dupont Circle favorite, which is new to the 2018 Michelin Guide, is $150 per person. Chef Jeremiah Langhorne added to the Shaw neighborhood's transformation into one of the city’s hottest dining neighborhoods with his Blagden Alley venture. Come here to discover what his signature Mid-Atlantic fare is all about. Chef Fabio Trabocchi’s Penn Quarter outpost sates wine and negroni lovers, as well as connoisseurs of house-made pastas and Italian-inspired seafood. Head to his other spots, including downtown DC pasta house Sfoglina, for an array of delectable dining experiences. Neighborhood dining doesn't get any better than this Barracks Row establishment, named the best new restaurant in America in 2014 by Bon Appétit. Eaters line up hours in advance to get a table, but now you can score same-day reservations as well. 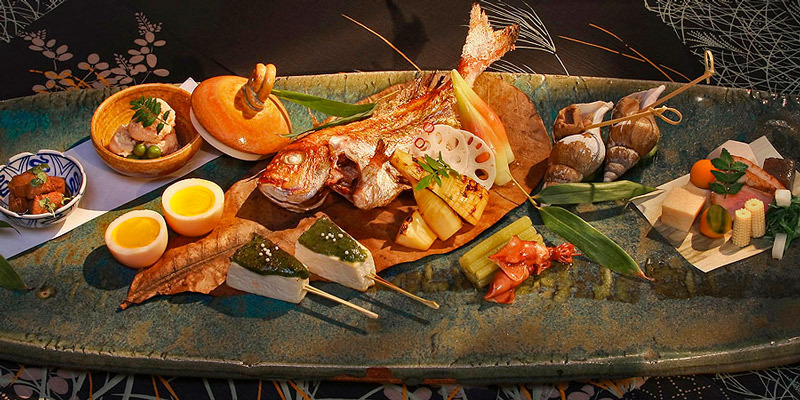 Regularly seen as the city’s finest sushi restaurant, this Dupont Circle hot spot specializes in dining omakase-style – in which your meal is decided by chef Nobu Yamazaki. 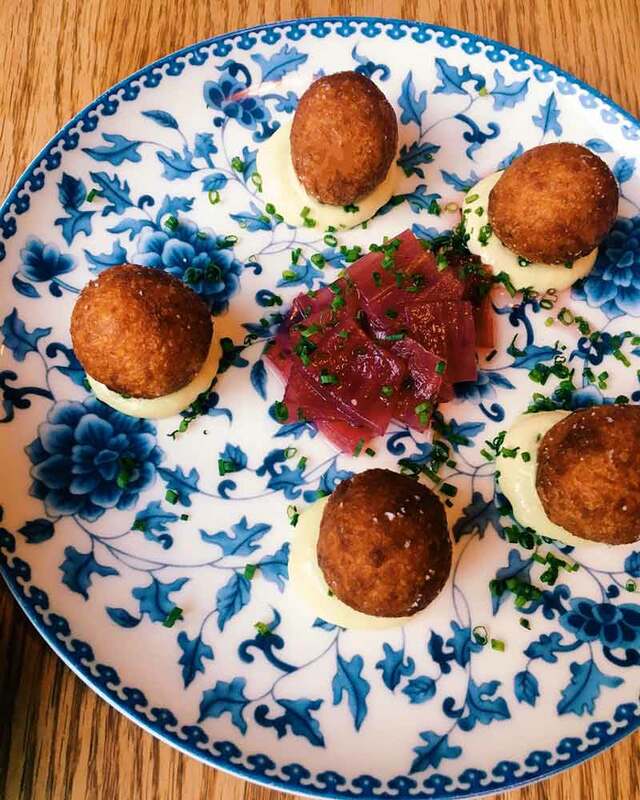 Mediterranean flavors permeate the menu at Tail Up Goat, an Adams Morgan darling since opening in 2016. Enjoy everything from goat lasagna and house-baked breads to hearty veggie-friendly fare. There’s much more to incredible dining than stars, which is where the Bib Gourmand designation comes in. Named for the fluffy Michelin Man (Bibendum), Bib Gourmand restaurants must offer two courses and a dessert or glass of wine for $40 or less. In total, 39 DC restaurants received the honor, and we’ve picked out Bib Gourmand restaurants that you should plan to visit. The entire guide features a full range of more than 30 different types of cuisine, which is evident in many of the Under $25 picks. Among those that are featured in the guide: chef Katsuya Fukushima's ramen shop Daikaya, Ethiopian restaurant Chercher, late-night standby The Diner and Filipino restaurant Purple Patch. Rounding out the reviews are dozens of other notable eateries, including Marcel's (make sure to try the boudin blanc), Petworth pizza purveyors Timber Pizza Company and Lapis for Afghan cuisine. Founded in France by two brothers in 1888, the Michelin tire company published its first guide in 1900 with the intent to inspire car owners to spin their wheels. In addition to covering accommodations, the red guide also rated restaurants with affordable selections and the now-famous three-star system. Over time, the guide grew to include cities across Western Europe and eventually around the globe, and the prestige of being selected as a starred restaurant rose into a life pursuit for chefs. Made up of food experts, hospitality industry alumni and former chefs, Michelin inspectors are the ultimate arbiters of culinary excellence. The inspectors never tip off restaurants about their identity. They dine anonymously, paying their bills in full like any other unsuspecting patron. Just like locals, they make return visits to continue the inspection process. Inspectors judge each restaurant based on five criteria: product quality, preparation and flavors, the chef's personality as revealed through his or her cuisine, value for money, and consistency over time and across the entire menu. Now that restaurants are operating within a Michelin Guide city, chefs throughout the DC metro area must remain on their toes – because in order to earn the highest praise, kitchens have to deliver a winning dish with each order.